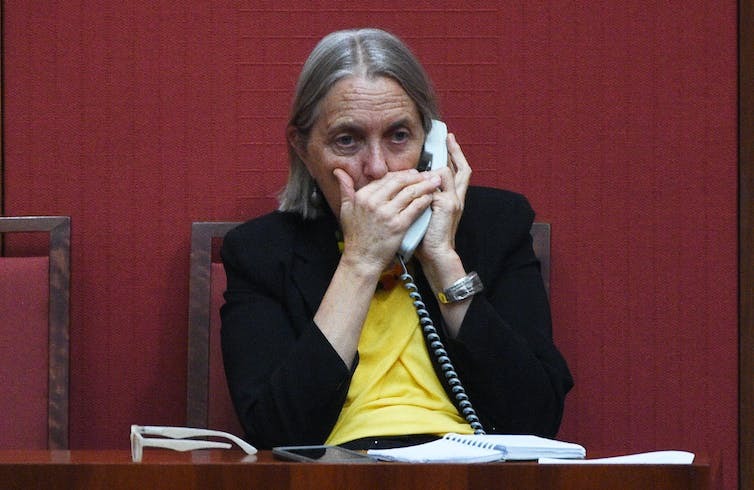 Lee Rhiannon and every other federal Greens MP have the right to dissent on matters of policy. 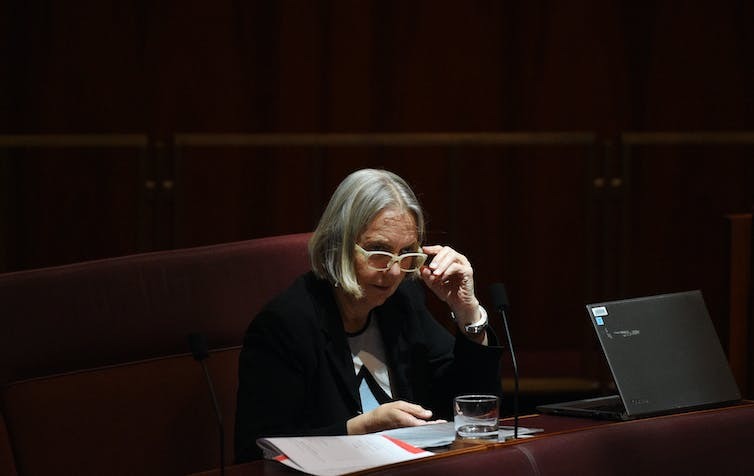 Over the weekend, Greens New South Wales declared that the partial suspension of senator Lee Rhiannon from certain federal partyroom discussions was “unconstitutional”. The state party requested Rhiannon be “fully reinstated without restriction”. Federal Greens MPs were ultimately discomforted by their decision to exclude Rhiannon, and were at pains to point out that the action was designed to tackle “a structural issue” and ensure the partyroom had “faith and trust” in party processes. The other resolution passed by the partyroom in that same session implored the National Council – the party’s highest decision-making body – to work with Greens NSW to end the practice of binding its MPs, even if its vote was against that of the federal partyroom. … reduce the democratic power of members in the Greens NSW. For all concerned, this matter turns on a fundamental disagreement over process and principle. If each state binds their senator we won’t have an Australian Greens party room, we’d have a collection of independent states arriving at independent decisions. In contrast, the NSW party rejects the idea that “all wisdom lies with MPs”. Its view is that policies adopted by members following a process of consensus decision-making should dictate the voting behaviour of the party’s elected MPs in parliament. Putting aside the matter of personalities and the ethics surrounding the conduct of those involved, to what extent does this incident reflect deep-seated ideological difference over the practice of binding MPs? Section 12.1: The actions, activities and public statements of all members of The Greens NSW who are elected to public office shall be consistent with the charter, constitutions, policies and decisions of the party. Section 12.6: Elected representatives shall consult with the delegates council regarding positions to be taken in their legislative activity. Section 13.6: … elected representatives … shall express public opinions and vote in public fora in accordance with the charter of the Australian Greens and ratified policies of the Australian Greens and The Greens NSW, where a party policy exists. The Greens NSW Constitution does not appear to include a reference to MPs having the right to exercise a conscience vote. By contrast, other members of the Greens’ national partyroom are not bound by similar requirements under their state party constitutions. MPs are permitted to exercise a conscience vote. Otherwise, the partyroom operates according to the principles of consensus decision-making. This process requires participants to reach common agreement on matters. If such agreement cannot be reached, a vote may be taken to determine the outcome. To whom or what are MPs ultimately accountable: the federal partyroom or their state organisation? Which level of decision-making should be allocated priority over matters of policy: the partyroom or the state organisation? Is party unity more important than the persistence of diversity in state organisational decision-making practices? These are not inconsequential points of difference – and they should not be dismissed lightly. But would disagreement over schools funding – the policy issue that ostensibly ignited this affair – have been avoided if Greens NSW did not bind Rhiannon? The answer is probably no. The federal partyroom rules allow MPs to exercise a conscience vote. Rhiannon – and every other member of the partyroom, for that matter – have the right to dissent on matters of policy. To what extent would Rhiannon’s position have been viewed differently had she exercised a conscience vote, instead of invoking a constitutionally mandated obligation to dissent? The current situation owes as much to politics as it does any deep unworkable ideological schism within the Greens. While binding might well complicate the partyroom’s efforts to present a united front in relation to legislative negotiations some of the time, the NSW practice seems to do so rarely. And when it does, this might just be the price of doing politics differently. The federal parliamentary Greens are taking on the power of the party’s hard left NSW branch. 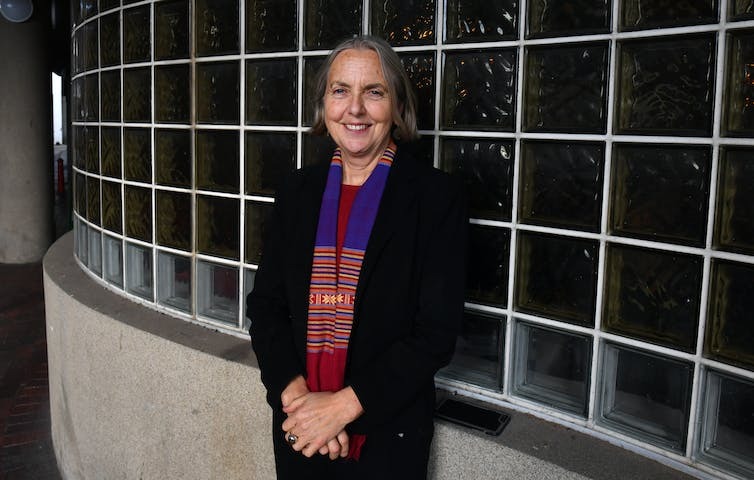 The Greens have imposed a partial exclusion from their partyroom on radical New South Wales senator Lee Rhiannon, after her behaviour over the schools legislation. Her colleagues were angry that she authorised a leaflet urging people to lobby senators to vote against the bill, on which the Greens were negotiating with the government. The nine other Green MPs wrote to the party’s national council about her conduct. While the letter cited the leaflet, the concern about Rhiannon went further. Party sources said they had not been informed that she had been bound by the party’s NSW branch to oppose the legislation. Eventually all Green senators voted against the bill, after the government did a deal with ten other crossbenchers. The issues with Rhiannon involved trust in her and the ability of the hardline NSW branch to bind MPs – a power it is accorded under the party’s federal constitution. At a marathon meeting of more than four hours in Melbourne on Wednesday, it was decided that the structural problem needed to be resolved. The partyroom asked the national council to work with Greens NSW “to end the practice of NSW MPs being bound to vote against the decision of the Australian Greens partyroom”. This was supported by all MPs except Rhiannon. The partyroom also passed a motion “that NSW senators be excluded from partyroom discussions and decisions on contentious government legislation, including within their portfolio responsibilities, until these issues are resolved”. At present Rhiannon is the only NSW senator. Rhiannon and Adam Bandt, the Greens’ only lower house member, voted against the motion. There is some uncertainty about how a battle with the NSW branch – controlled by the “watermelon” faction, a description reflecting its hard left position – will play out. Some in the party fear the situation could be inflamed, while others will welcome the branch being finally taken on.